With all the information on tea being so good for you here are some tips to figure out which teas are really the ones that carry the health benefits. 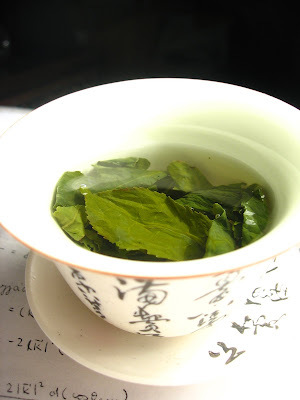 Green tea and white tea are the least processed tea. They are simply steamed quickly. 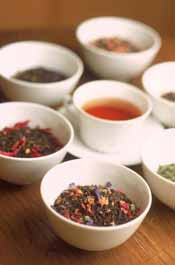 Regardless of the processing method, black, green, white and oolong teas all contain polyphenols. In fact, tea ranks as high as or higher than many fruits and vegetables in the ORAC score, a score that measures antioxidant potential of plant-based foods. Herbal tea is not derived from the leaves of the Camellia plant and so does not have the particular health-promoting properties. Indeed, most herbal teas in the market are NOT tea at all. They are only infusions made with herbs, flowers, roots, spices or other parts of some plants. The proper term for this type of beverage is "tisane." The recently popular South African red Rooibos tea also falls within the herbal tea or tisane category. Red Rooibos tea is not really tea as it is not derived from the Camellia plant. No scientific evidence has yet shown the health benefits of red Rooibos tea. Although tisane does not contain as any polyphenols, it does promote other various health qualities such as relaxation and calming effects. According to the American Dietetic Association, a cup of tea contains an average of 40 mg of caffeine, compared to 85 mg as found in a cup of freshly brewed coffee. We do not know whether decaf teas have the same polyphenols, and thus the same health benefits. It is not yet known if removing caffeine also removes polyphenols in the decaffeinating process.